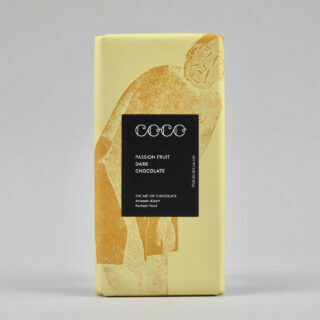 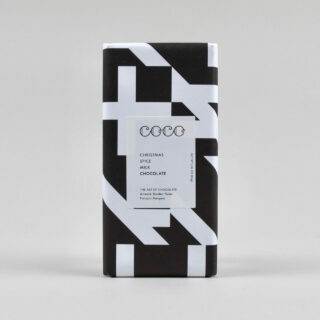 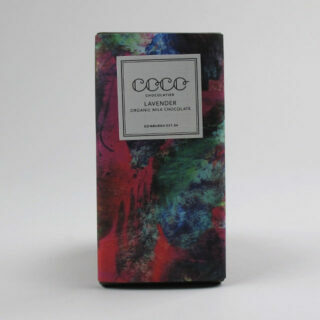 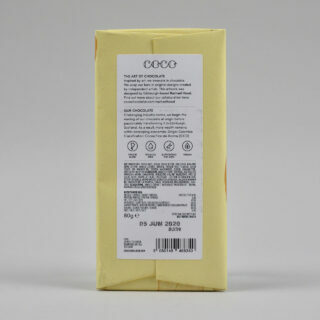 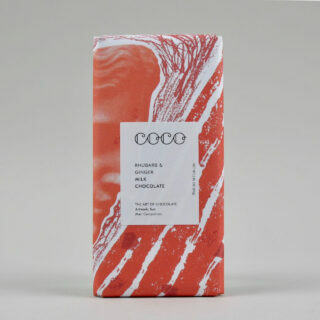 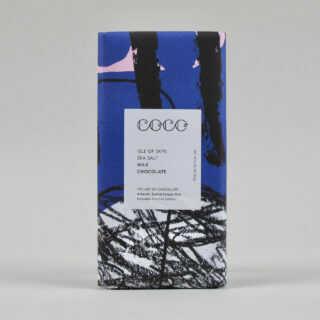 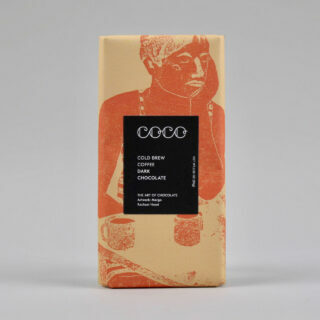 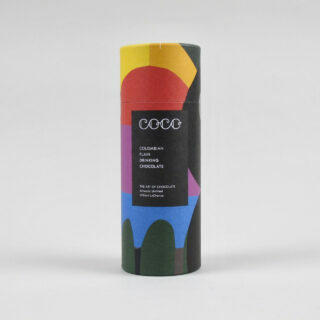 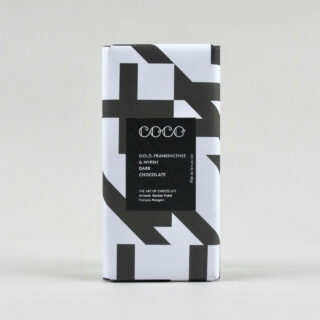 An 80g bar of dark chocolate from Edinburgh based Coco Chocolatier. 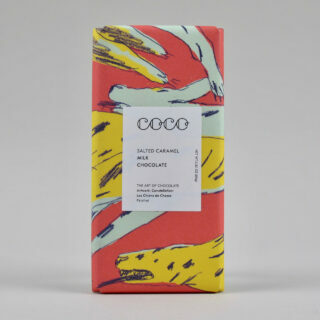 Wrapped with a design based on artwork by Rachael Hood. 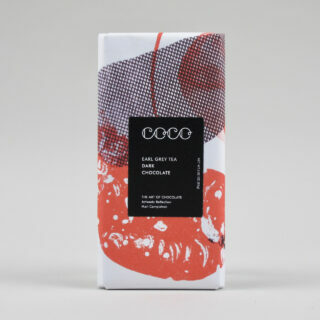 61% cocoa chocolate flavoured with passion fruit.